This fine-dining spot offers fare inspired by coastal Maine. 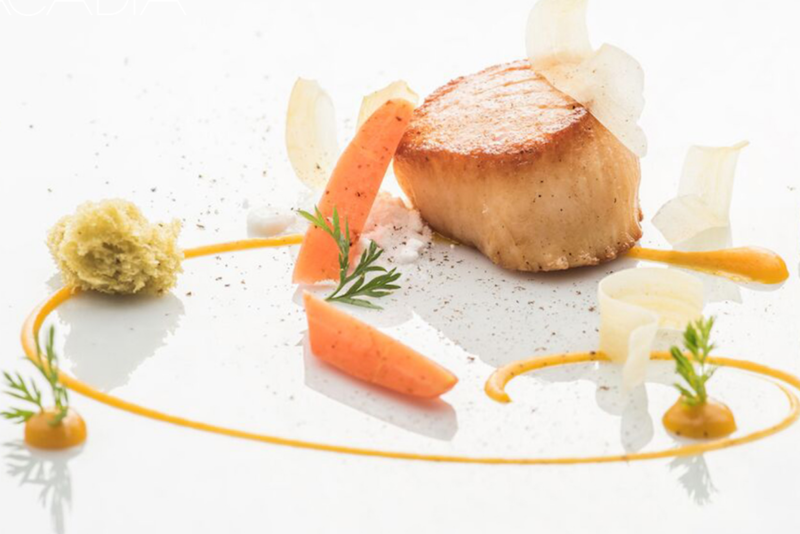 Since its launch in 2011, this contemporary restaurant, helmed by chef Ryan McCaskey, has collected two Michelin stars and numerous other accolades. In addition to a decadent, innovative 10-course tasting menu, Acadia also provides a more conventional bar experience featuring a catered selection of East and West Coast oysters. This Easter, Acadia will offer a special $85 brunch buffet with multiple stations. Weathermark is a fun, nautical-themed bar and restaurant with an atmosphere offering “upscale fun for sailors and non-sailors alike.” With more than 50 bottles, the bar boasts one of the largest rum collections in the city. 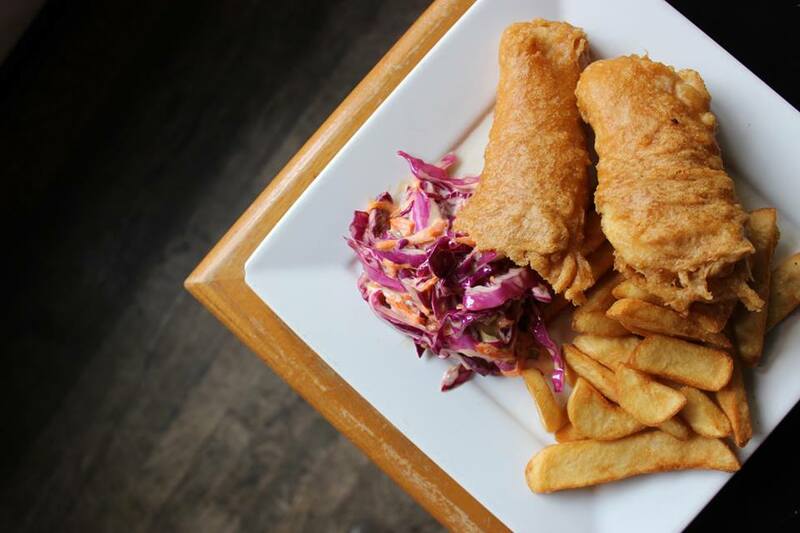 The tavern has been hailed by CBS and the Huffington Post for having the best fish fry in Chicago, and the menu is filled with plenty of tempting appetizers and entrees (mango-crusted salmon, char-grilled burgers, thin-crust pizza, etc.) to satisfy any appetite. 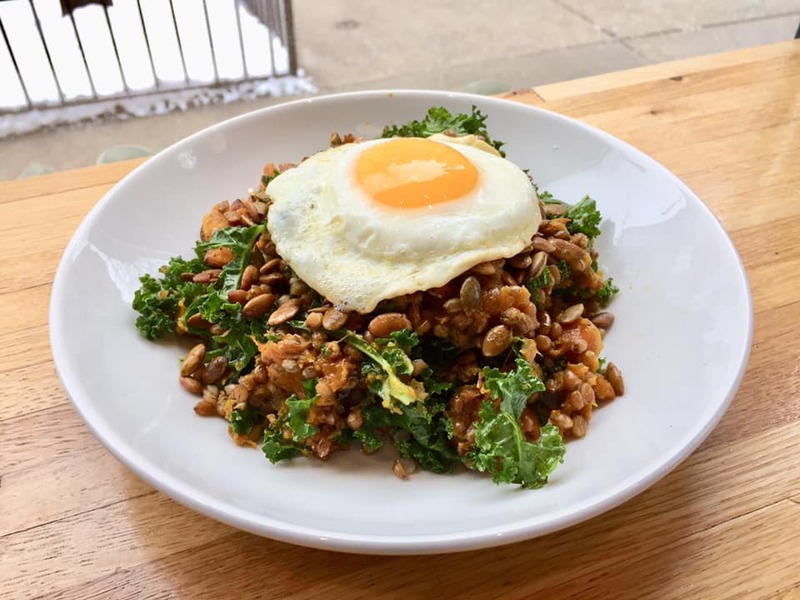 Kroll’s is a classic neighborhood bar and grill with an elevated food menu and a charcoal-grilled burger that is regularly listed among Chicago’s best. Offering 99 different beers, 20 flat-screen TVs and four large projector screens, Kroll’s is prime event space and a great spot to catch the game. For those reserving space for a private or special event, they offer a variety of menus for larger parties. Check out $5 food and drink specials on Thursdays, half off appetizers from 5-7 p.m. on Fridays and a solid weekend brunch starting at 11 a.m. Specializing in new-Japanese cuisine since 2003, South Coast Sushi offers a hip, lively dining experience. With top-quality fish imported from around the world and innovative signature dishes, their three Chicago locations have won a reputation for a creative twist on sushi favorites. For dessert, try their banana maki, an original Japanese interpretation of banana foster. Overflow Coffee Bar is a well-decorated cafe that serves organic coffee, sandwiches and pastries — with the proceeds going to charity. Their coffee goes beyond fair trade by exclusively stocking direct-trade coffee, ensuring higher wages for farmers, and they favor environmentally friendly practices and community building. A serious dedication to quality ingredients will leave you feeling good and satisfied. Tapas, as you may know, represent a broad category of Spanish appetizers and small plates meant to be shared, and Tapas Valencia offers a robust variety of dishes and unique cocktails. The atmosphere is lively, with colorful murals inspired by artists Joan Miro and Antoni Gaudi. Tapas Valencia is another popular event venue, offering special lunch and dinner packages for private dining. The Spoke & Bird is an American take on a traditional French bistro. With a focus on healthy living, their menu includes crepes, paninis and salads. Popular dishes on their breakfast menu include apple cider oatmeal and biscuits and gravy, as well as a Prairie District twist on the London Fog. Additionally, the Bird has a lengthy menu of craft beers, especially IPAs. And don’t forget a pretty, tree-lined beer garden during warmer weather. Thirty years ago, the first Opart Thai restaurant opened on Western Avenue. The business has been family-owned and operated ever since, and still strives to create a warm, dining room-like atmosphere. Opart has an extensive menu containing all the classic Thai dishes one could think of, from chicken satay and egg drop soup to pad Thai, fried rice and Panang curry. Most can be prepared from mild up to extra spicy for the more adventurous among us. 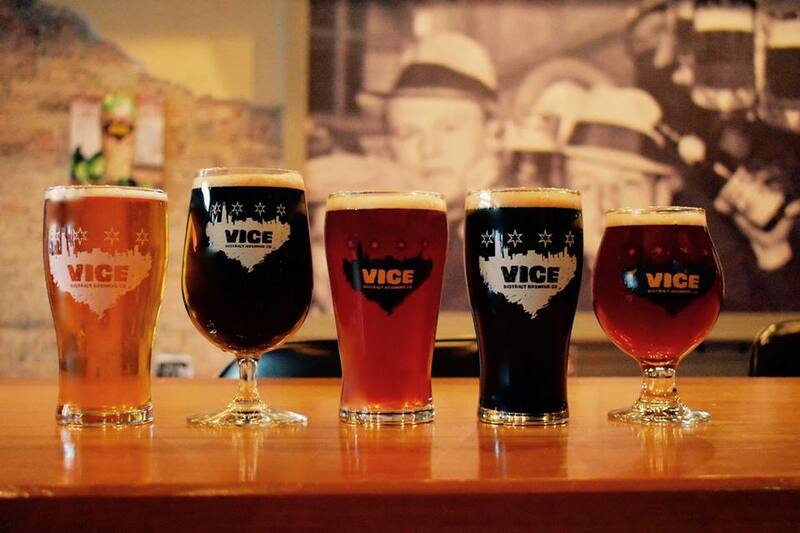 Opened by two South Loop neighbors who decided to brew beer together, Vice District has gained a steady following since opening in 2014. On tap, try the Pleasure Trip, a blonde ale for those who enjoy a full-flavored beer but desire a less hoppy profile. Located within walking distance of Museum Campus, Grant Park and Soldier Field, you’ll find a diverse crowd and dog-friendly, baby-friendly, board game-playing environment. 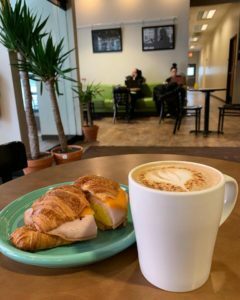 Another family-run business, this cozy spot for caffeinated beverages and fresh pastries is acclaimed for the high quality of its baked goods, often still served warm. Though tea is their specialty, TeaPotBrew can make all their assorted teas into lattes, and also offers BYOB opportunities for those who want to start the day early. For spring and summer, the restaurant has a small patio area. This colorful South Loop bar with a speakeasy feel is known for offering fun, business-related events like Wednesday After Work Social and Small Business Saturday, as well as delicious seasonal drinks like brandy-infused hot chocolate and caramel-and-bourbon cider. Check out Karaoke & Cocktails on Thursdays from 8-11 p.m. and try a Lyrical Lemonade to gather up the courage.